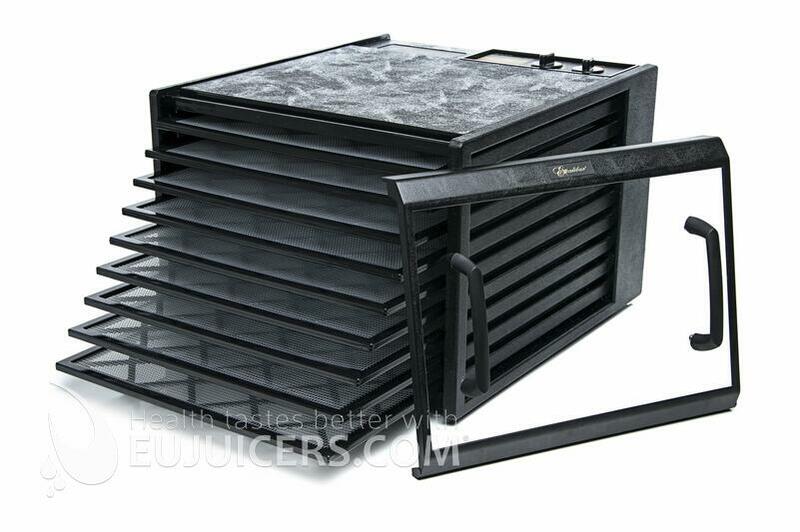 This larger capacity model is ideal for people with larger gardens or several fruit trees. The Excalibur 4926TBCD dehydrator contains nine large drying trays with a total area of 1,39 m2. 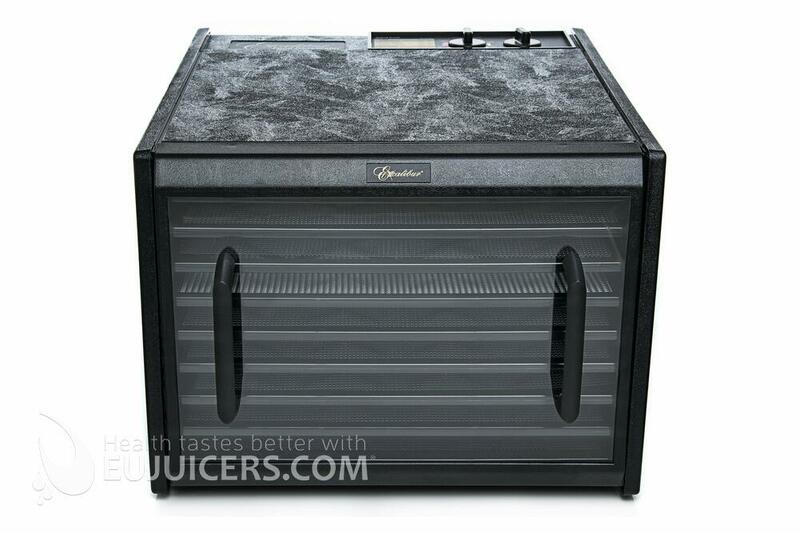 This dehydrator is equipped with a 13-cm fan, 600 Watt motor, adjustable thermostat, and clear door for easy monitoring of produce. 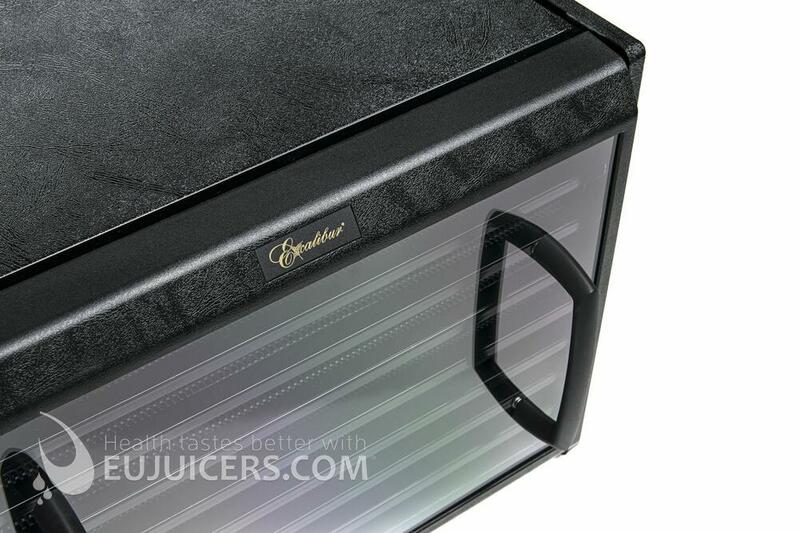 The case, doors and tray frame are made of very durable and strong polycarbonate. All components are manufactured and assembled in the United States unlike some faulty Chinese copies sold under various brands. 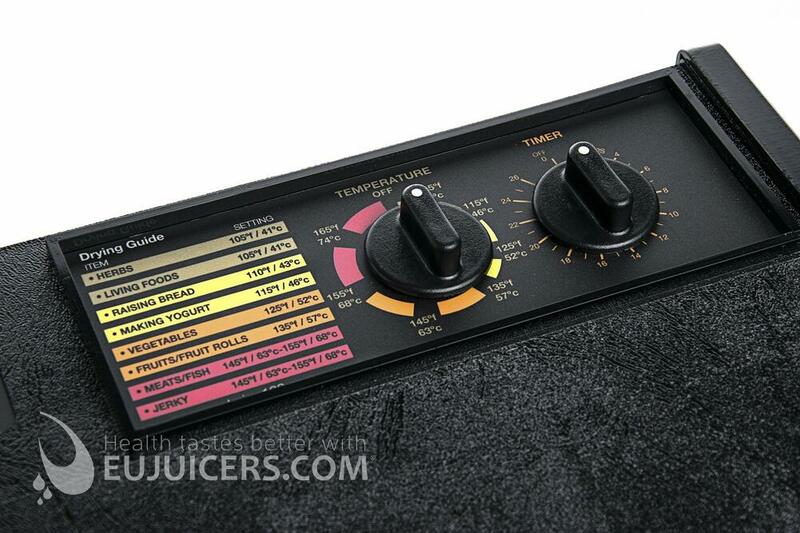 The Excalibur 4926TBCD dehydrator comes with an adjustable thermostat and an easy-to-use 26-hour analog dial timer. This lets you set it and forget it. You needn't worry about when to turn it off, or over-drying herbs or produce. Most Excalibur models except for the RES10 and EXC10EL are based on the same "box" format, with vertical sliding trays and a rear-mounted fan blowing air from back to front. The differences lie in the number of trays (5 or 9), the color/materials (black, white, stainless steel, and with or without a timer. Performance among all the "box" models are similar, with uniformly excellent results. The 4926TBCD is a large 9-tray model in black with a clear door and a timer. It differs from the 4948CDFB in that it uses an analog dial timer instead of a two-stage digital timer.